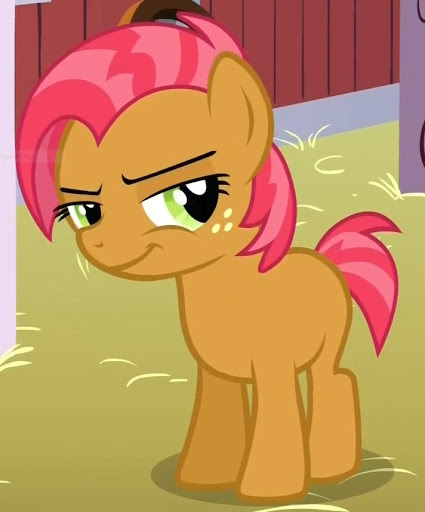 Song of the day: My Little Pony – "Babs Seed"
I’d like to interupt that text in parentheses to respond to the notion of “guilty pleasures”. To the idea that you like something but daren’t admit it, I say “Pshaw” and “Balderdash”. If you like something you like it. Simple. Anyway, anonymity was asked for, so I’ll respect that. I listened to it again, and enjoyed it more. And then I played it again. I now officially like this song. In the choruses of both songs, melodically and structurally, I don’t hear much of a difference. As I mentioned earlier: if you like something you like it. I’ve said it before, and I’ll say it again: I love Sugarbomb. You are currently browsing the archives for the My Little Pony category.